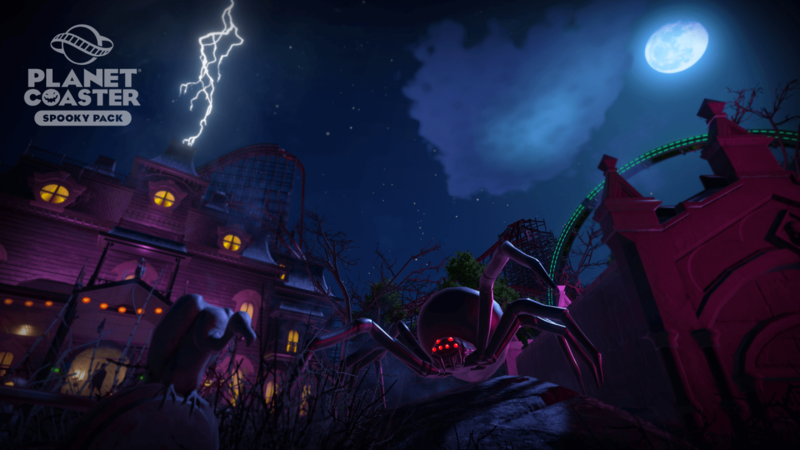 Two New Dark Rides: The Hoax is a free-spinning haunted house ride that can fit in even the smallest spaces with its tight track that twists and turns, thrilling your guests and give them a fright. 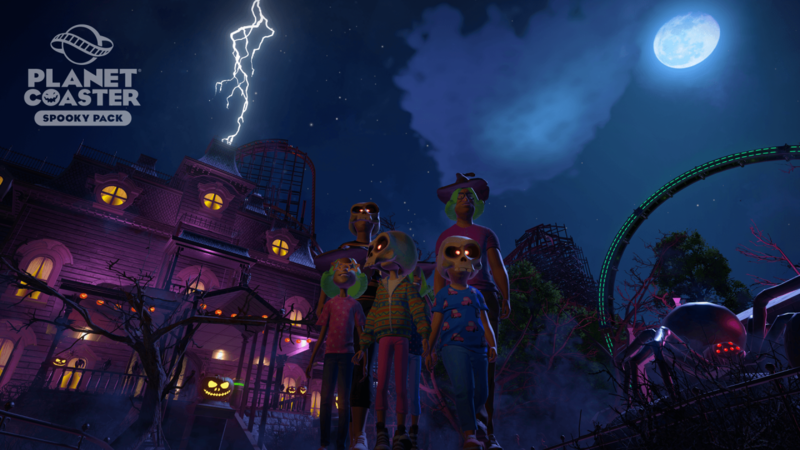 Are they scared of the dark? 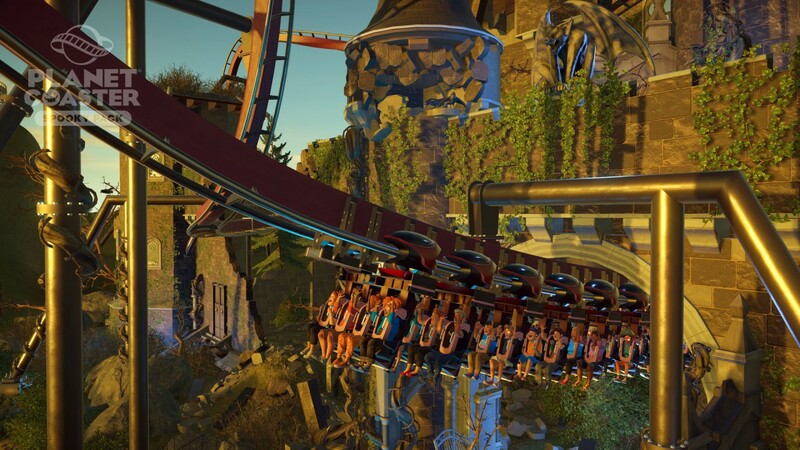 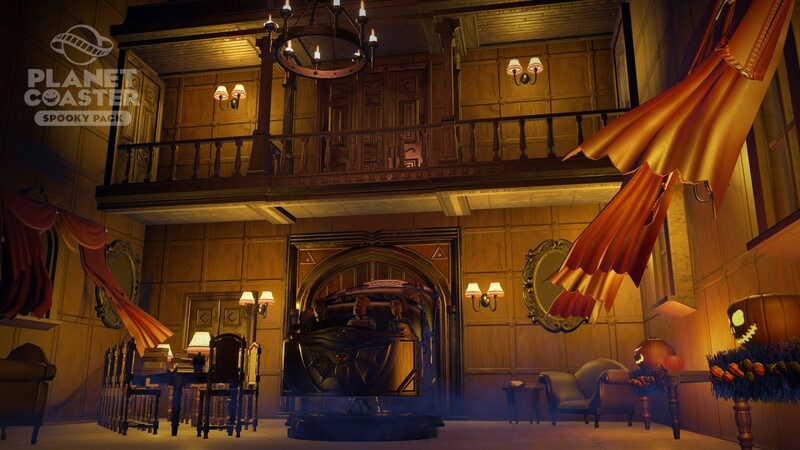 The Huntsman is Planet Coaster's first ever motion platform ride that is uniquely designed by the way it rotates on an axis. 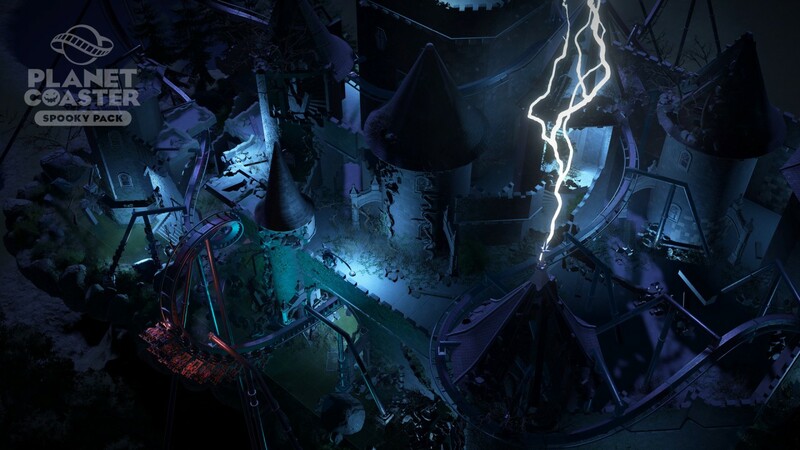 How brave are your guests? 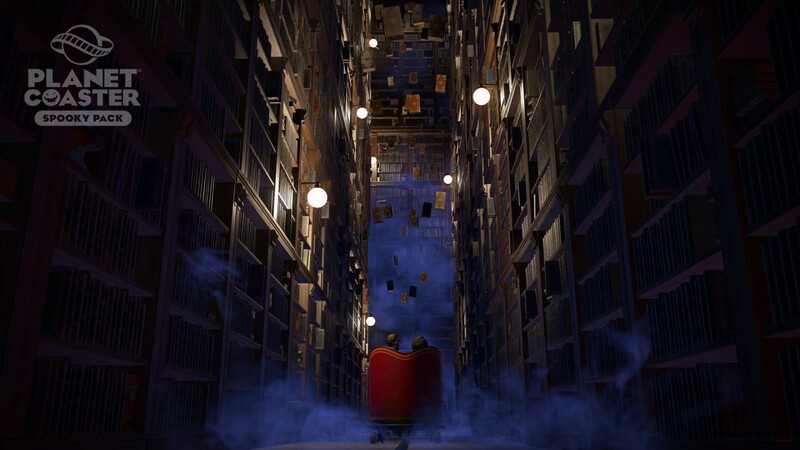 Find out by sending them on this spine-tingling adventure. 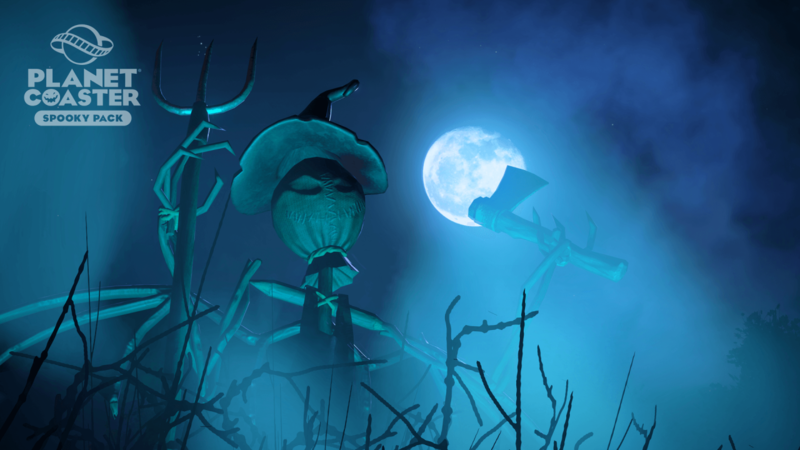 Spooky Scenery: Trick or Treat?! 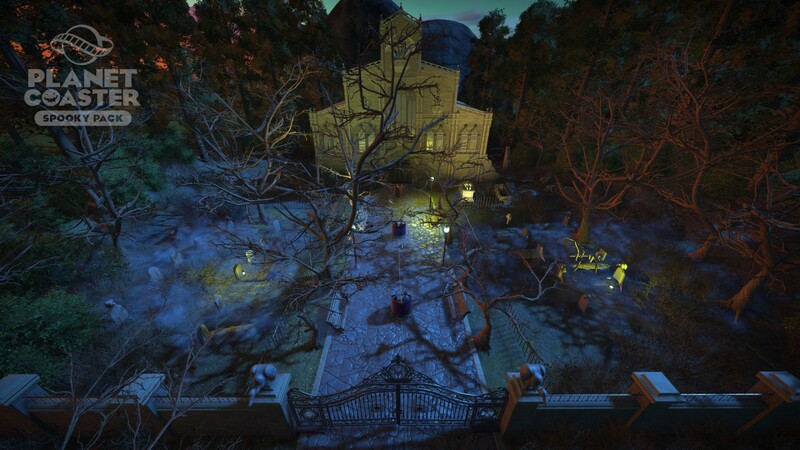 New spooky scenery pieces allow you to transform your parks into a gothic masterpiece. 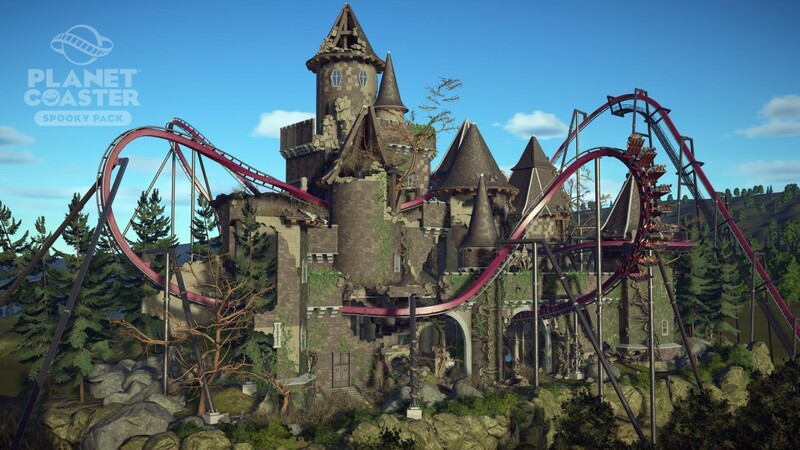 Turn up the heat on your cauldron of creativity to mix and match these new scenery pieces with the other uniquely themed building components to build a frighteningly good theme park. 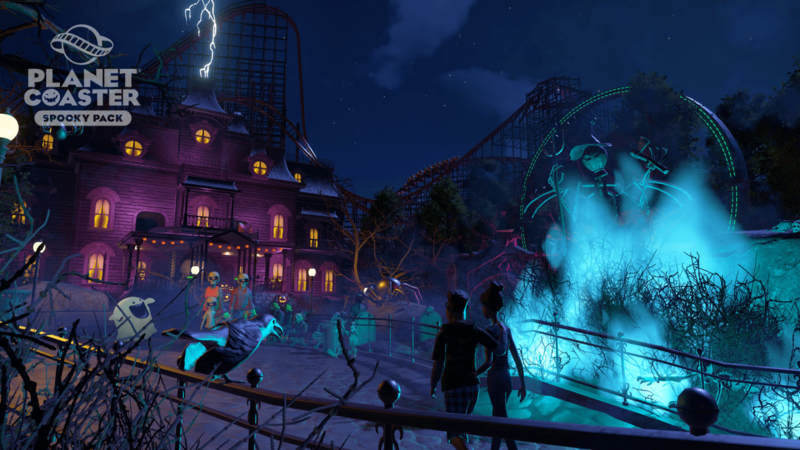 Position, combine, and intersect items in your own ways to create awe-inspiring items to share with Steam friends and our Planet Coaster community. 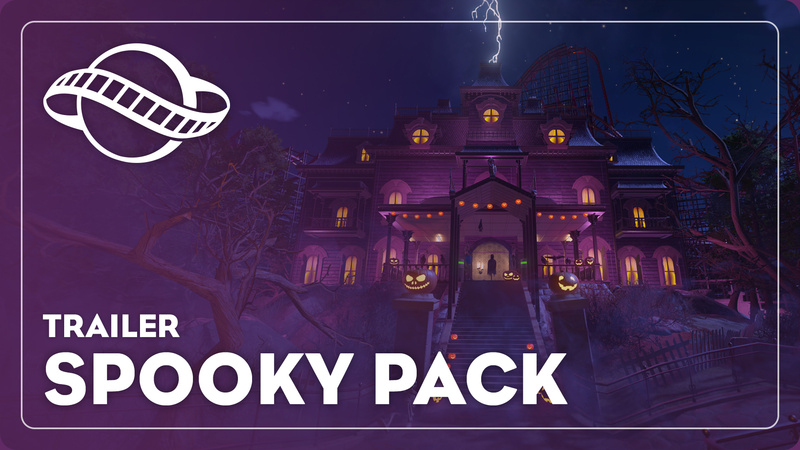 Spooky Building Set: New spooky building pieces can be used on their own or together with existing themed wall sets; the piece-by-piece construction tools mean every part can be mixed, matched, removed and re-used however players choose. 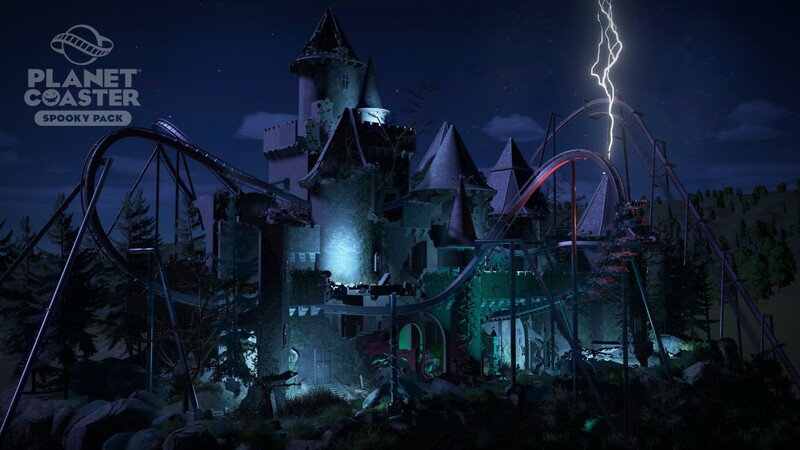 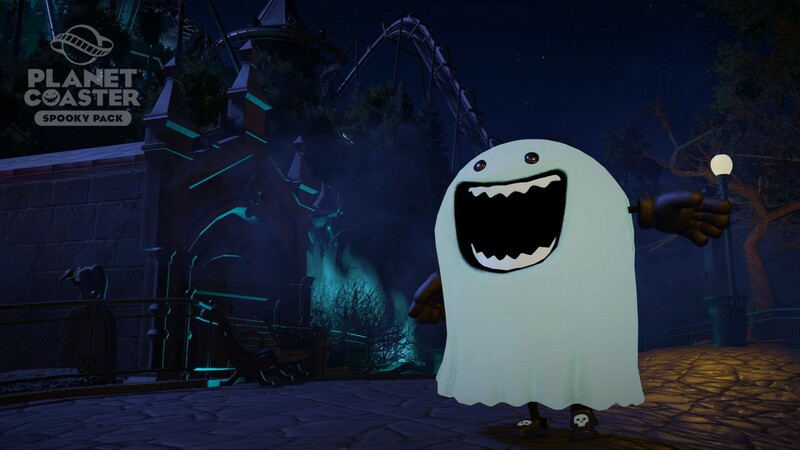 King Ghoster: The newest Planet Coaster entertainer will haunt your park and bring eerie entertainment to those who dare venture into your spooky park.